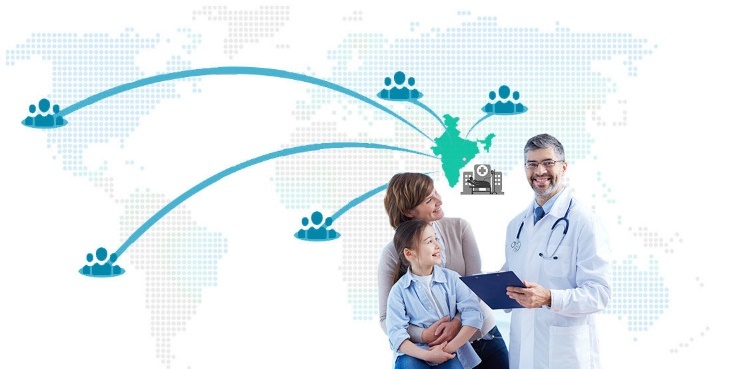 Why Is India the Rising Centre for Medical Tourism? There has been a great increase in the number of visas issued by the Indian government for treatment as well as follow-up appointments in the past few years. The reasons for this are the quality of care available in India, along with the skilled doctors and nurses as well as the world-class facilities present in Indian hospitals. Add this to the fact that the procedures in India cost only about 10% of the cost for treatment of the same surgeries in other developed countries and it is no surprise that medical tourism in india Is on a rise. According to the data available, the majority of the patients who travel to India for treatments are seen to be from Maldives, Africa, the Middle East, Bangladesh, Bhutan and Sri Lanka. Since the cost is less than half of that in Europe and the USA, it is possible to conclude that India will in the future, see a rise in medical tourists from these areas as well. To make the process of application for medical visas easier, and support this growing sector, the Indian government established a simplified e-medical visa facility which allows for up to three visits by an individual. There is also a substantial bulk of tourists that come to India to avail of the various forms of Indian medicine like naturopathy, Ayurveda as well as traditional treatments using herbs. These practises are not available anywhere but in India and are seen as effective forms of treatment for many types of diseases and ailments. India is also a favoured place for availing medical services because tourists can combine their treatment here with other techniques that India is famed for, such as yoga, naturopathy and Ayurveda. This is possible due to various centres in India developing facilities that allow for healing teamed with learning and getting certified in these techniques. This allows the patients to partake in treatments that are not available in their own countries and further, go back and set up centres or teaching schools at their own countries. Sectors like dentistry see a large intake of patients. Tourists also generally extend their stay in India so that they can travel and imbibe the natural beauty and culture of the country after they are rested and done with their medical procedures. The ability to celebrate their recuperation and the success of their medical procedures in this manner is a great incentive for all tourists and is a reason that in India medical tourism is the rising sector. It can be hence seen that India is the best choice for medical tourism as per the feedback received from those who received treatment. The reasons they generally state are the reduced cost of treatments paired with International Quality Standards and modern infrastructure of the world-class hospitals. These hospitals also have specialist doctors for transplant surgeries and cosmetic procedures with the doctors having a high level of expertise in their specialty fields. The patient care is also extremely good due to the availability of trained and compatible staff. The sector will definitely be one that expands to higher levels in the future.